FIFA to host the leaders of the Israeli and Palestinian Authority’s soccer federations ahead of vote on Israel'suspension. FIFA said on Wednesday it will host the leaders of the Israeli and Palestinian Authority’s soccer federations within days, seeking an agreement before the governing body's congress this month, according to The Associated Press (AP). The Palestinian Football Association (PFA) has asked FIFA to suspend Israel, citing its “discrimination” against Palestinian Arab players. FIFA President Sepp Blatter has said he opposes the move, but the PFA still pushed for a vote on the resolution by 209 member countries on May 29 in Zurich. FIFA said Blatter met Israeli soccer leaders on Wednesday and told them "any member association that is fulfilling its statutory duties should not be suspended," according to AP. The Israeli federation has said the issues are political and beyond its control. 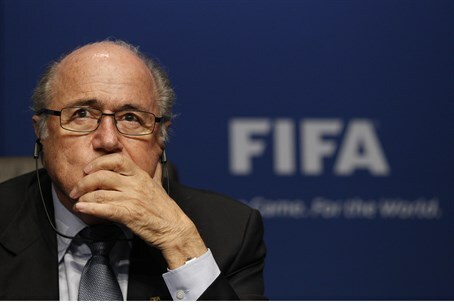 Blatter has worked to mediate between the two federations since a decision at the FIFA congress in 2013.